WELCOME BACK TAVERN ALE! 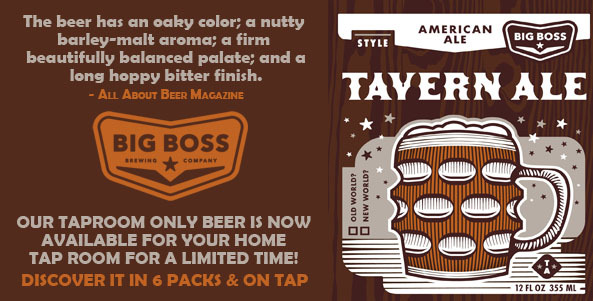 Big Boss Brewing introduces Tavern Ale as part of it’s seasonal line up, an English / American hybrid, a historical recipe from Big Boss brewer & partner Brad Wynn. The term “tavern ale” comes from old world customs. It is the beer made for or by the “tavern.” An exclusive beer for fellow patrons. 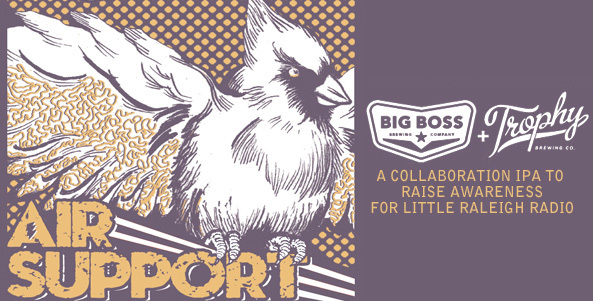 The Big Boss Tavern ale has been in regular rotation since Big Boss opened in 2007 and now makes its way to a permanent rotation in the seasonal line up of offerings after a larger scale test run in 2014. 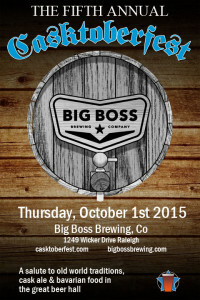 Big Boss Tavern Ale has been added to the brewery’s line up of seasonal beers and will follow Harvest Time in the winter months. Tavern Ale is available in 6 pack, and keg and will be offered to distributors in North and South Carolina. 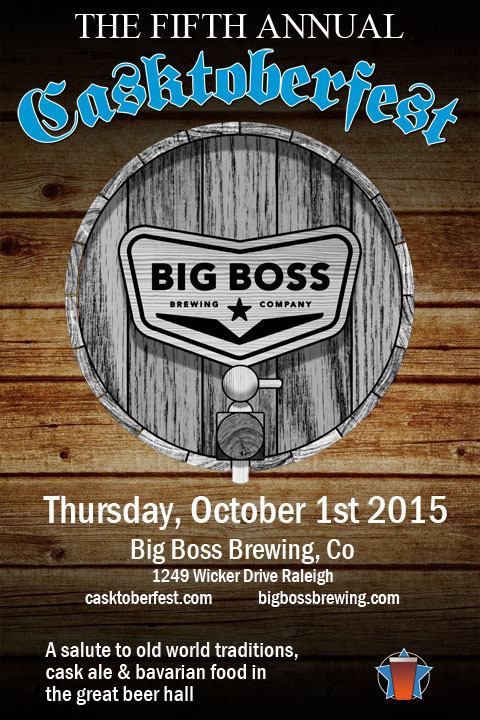 Details for Casktoberfest 2015 are starting to emerge. Use this Facebook page to RSVP and remember no cover fee for admission, just pay as you go, food will be available. Beer list to be posted soon!